Since I still had some fabric left from my daughter's ruffle apron I decided to make a doll version, too. 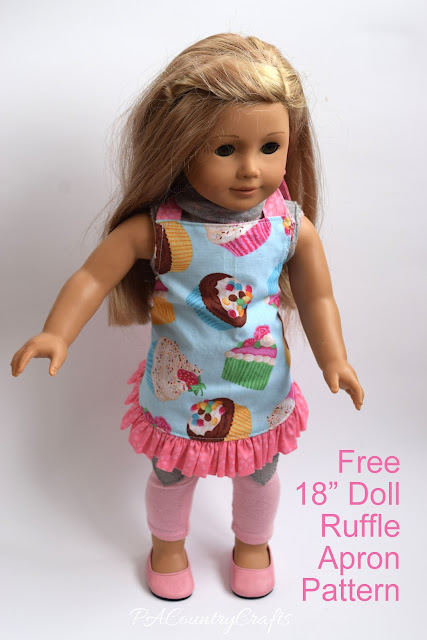 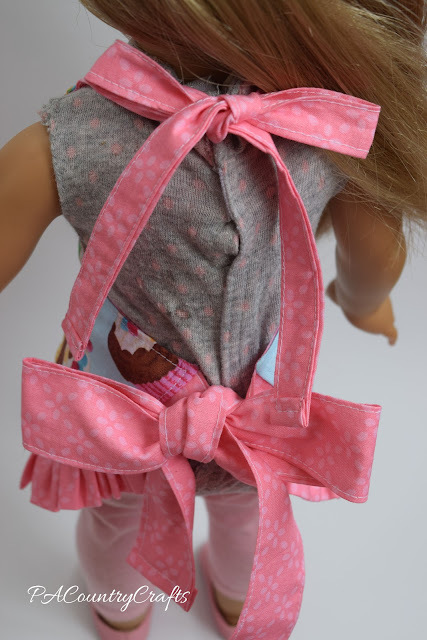 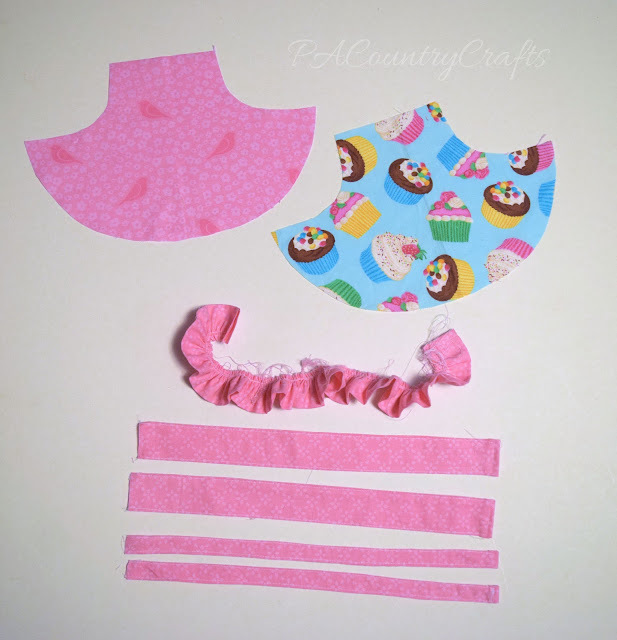 Neck Ties- (Cut 2) 2" x 15"
Waist Ties- (Cut 2) 3 1/2" x 15"
Bottom Ruffle- (Cut 1) 3" x 44"
You can find all of the directions for constructing this apron HERE and while you are at it, you can make matching girl and doll aprons! 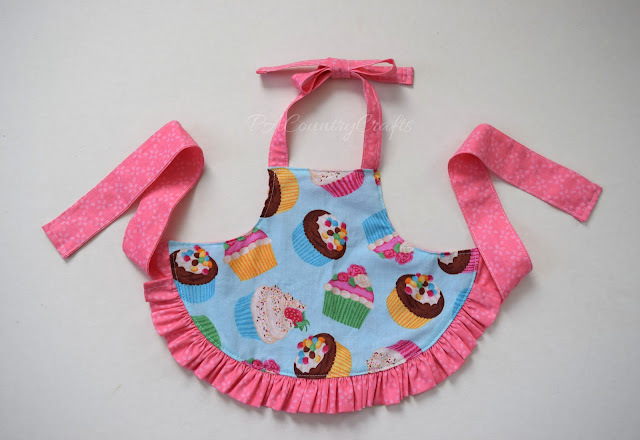 Remember, these aprons are also reversible!